Powerful stuff. Think about this. 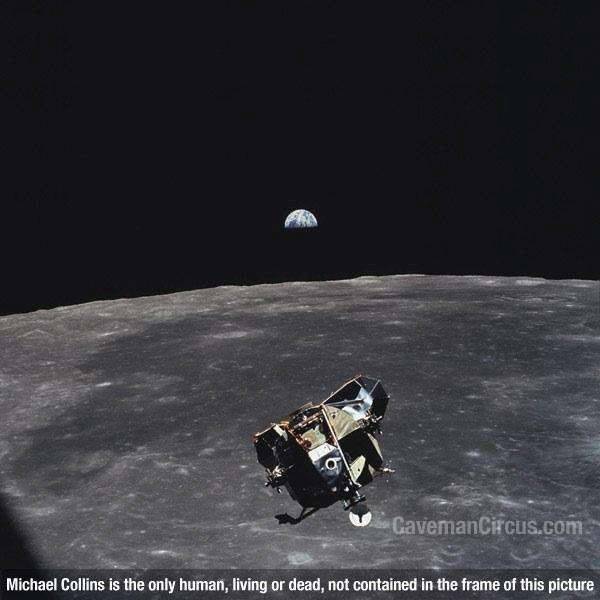 Michael Collins (Apollo 11) is the only person in the history of the planet not contained in this photo. Everyone else, from the beginning, is either on the earth or under it.